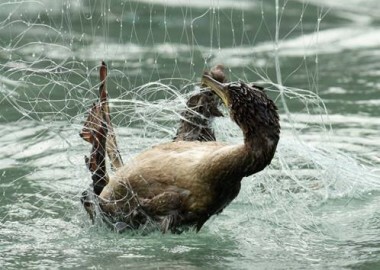 Ghost gear is any discarded, lost, or abandoned fishing gear in the marine environment. It is one of the biggest threats to our sea life. 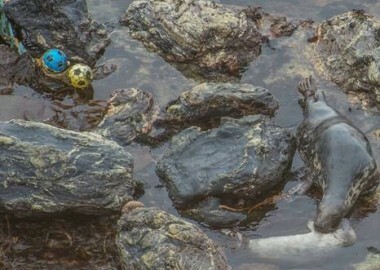 Ghost fishing gear affects a range of marine life in Cornwall, including grey seals a species of conservation interest being a UK ‘special responsibility’ species under the EU Habitats Directive. 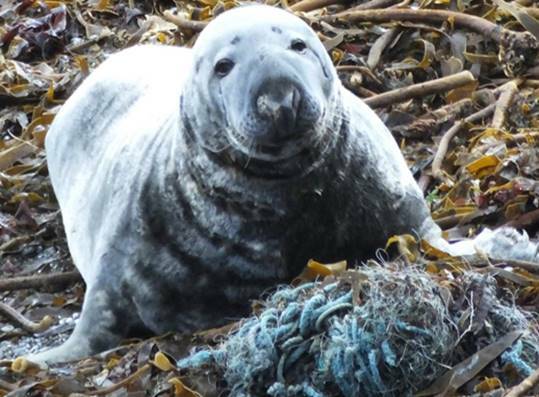 Between November 2014 and October 2015, Cornwall Seal Group members and lots of other highly motivated volunteers surveyed the ghost gear washed up on the beaches around Cornwall (and parts of Devon and the Isles of Scilly too). In addition, 26 systematic boat based coastal ghost gear survey transects were repeated covering the same 115km stretch of Cornwall’s north coast (total survey distance 2990km). A wide range of ghost gear items were photographed around most of Cornwall’s 700km of coastline (north and south coasts), offshore islands and in the open sea with 4226 new items totalling 49917 litres (or 51 tonnes). As well as recording the amount and type of the gear we also assessed the risk to marine species and we recorded numerous entanglement events: at least 52 individuals (and numerous mussels and pink sea fans) from 12 species of marine life (including seals, birds, crabs and fish) were photographed entangled in ghost gear. 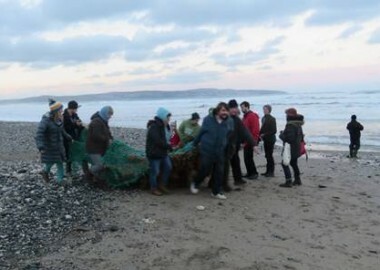 Although not part of the original project which was just to record, volunteers removed 14009 litres (or 14 tonnes) of ghost gear from the marine environment, considerably reducing the levels of risk posed by ghost gear to marine life (from 26% to 18%), particularly seals (from 47% to 24%). World Animal Protection were kind enough to support us in this project and commissioned us to prepare a report covering the first year of recording, November 2014 to October 2015. 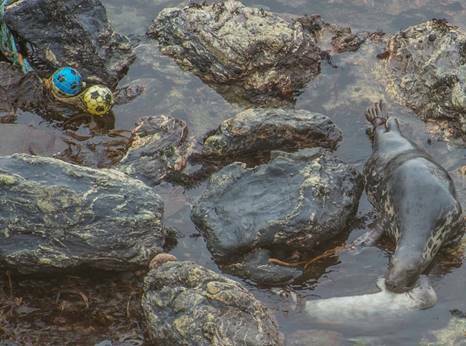 They will use our report to get global support for their Sea Change campaign which includes the Global Ghost Gear Initiative, as well as assisting marine animal rescue groups to rescue as many entangled animals as possible. World Animal Protection have now officially released our Ghost Gear Report and you can read more about this in their case study (a-case-study-on-the-impact-of-ghost-fishing-gear-on-the-cornish-coastline), PR page and blog. 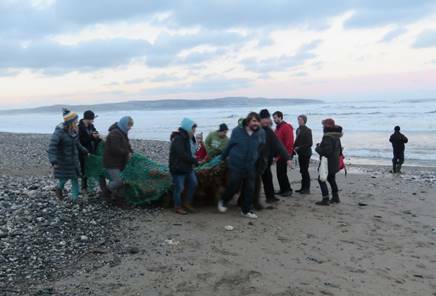 We cannot thank our volunteers enough for making our seas safer for our precious marine life!